Property 5: Mountain chalet at the foot of the Matterhorn. Luxury Chalet in La Monta close to the ski resort of Arolla, Evolène, free wifi. Property 8: Luxury Chalet in La Monta close to the ski resort of Arolla, Evolène, free wifi. Accommodation with stunning views over Monte Rosa and 5 minutes drive from Gressoney. 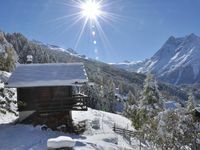 Property 14: Accommodation with stunning views over Monte Rosa and 5 minutes drive from Gressoney. Property 28: MAISON DOMINIQUE - "PAILLY"
MAISON DOMINIQUE - "THE CHIAMBRETTA"
Property 30: MAISON DOMINIQUE - "THE CHIAMBRETTA"
Property 32: MAISON DOMINIQUE - "RAS"
A charming chalet immersed in nature. Property 41: A charming chalet immersed in nature. We had a great week. A nice place to stay in. Good space, nice beds. We would Love to come back . Good communication with the owners. Quick respons if we had any questions to the contact in village. Zinal is a nice village, when you want to ski, enoye nature and have a relaxing time. At night is was totalt quiet. Lovely!